Nightmare is also known as a bad dream; this is a situation that causes the emotional response from the mind. Usually its fear, however, it also leads a person to anxiety, sadness, and despair. The dream may contain situations of uneasiness, psychological terror. Sufferers often wake in a state of suffering and may be no able to return to sleep for some time. Nightmares just like dreams nightmares occur during sleep when the children’s brain is very active. It happens when the brain is walking through an experience to get some new information. The bright images the brain is dispensation can seem as actual as the passions they might activate. This situation of sleeping is called REM – Rapid Eye Movement. In this stage, our eyes are moving rapidly beneath closed eyelids. Nightmares usually happen during 2nd half sleep at night times. At night REM intervals are longer. When a 3-year-old nightmare comes out from sleep, his/her images are fresh and feel it real. So, they got afraid or upset and called the parent for comfort. In the early age of 3 years, old kids are unable to understand nightmares however they start understanding that a bad dream is a dream not a reality but when they start going to school. After the age of 4 they know things that are happening in their dreams can't hurt them. However, knowing this fact is not enough to save them from the feeling of fear. Sometimes the older kids got frightened when they awaken from the bad dream they also need some comfort from you to get relaxed. 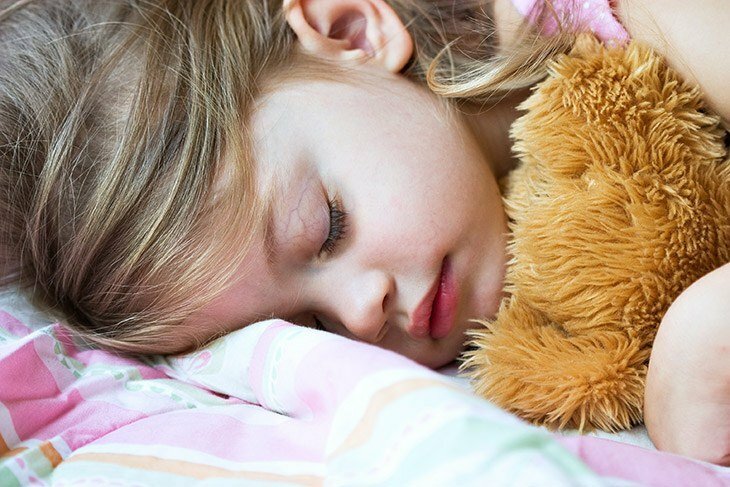 These are some of the causes that may lead your child to the nightmares or bad dreams. You must know these causes and help your child to avoid them. Sometimes children suffer from nightmares as they imagine. Sometimes they experience something that disturbs them, and inner sense accepts it to remember. Like moving house, changing school, the divorce between parents leads them to nightmares. In such cases, the children must need the care to overcome or get out from the anxieties to will help them to handle nightmares. Darkness is one of the natural fears, especially in children. Sometimes children who have ever faced a bad dream will also scare from the darkness. On the other hand, children who will spend more time in less light or darkness might face nightmares. When a child wakes up in the dark, they might get frightened. Children’s strong imaginations and severe nightmares seem to interlink with each other. When a children suffer from higher levels of anxiety or emotions he might have to face nightmares. Unfortunately, usually, children are treated as over anxious that is not very helpful. 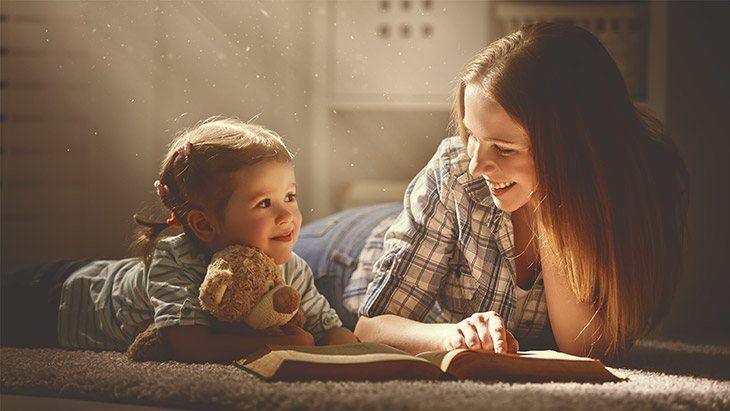 If you think your child shows these characters, you may help them cope better with their bad dreams by sharing with them methods for managing with nervousness and fright attacks. The 3-year-old nightmares are usually being with punishments or less from the parents. Sometimes a nightmare covers familiar bits and smithereens of the day's events and involvements, but with a frightening twist. A youngster might not recall every part but can typically recall some of the images, fonts, or circumstances, and the scary shares. Listen to your child carefully and understand their concern. Do not make fun with them and never avoid it. Give your child assurance to recover from fear. Communicate about the safety ideas again and again to overcome the fear. Try to teach your child to copy your ways when they are afraid and help them learning alternative ways to respond. It is necessary to help them being brave and think for a solution, not to the problem. It helps them to talk about dealing the afraid and fear. If you got some time with your children in the night, make some fun during this stage. You can play some games with them to keep them busy. Have a treasure search for belongings that light in the dark. You can teach your child to use their imagination to control the fear. Some families have found several ways including monster spray to help their children overcome on the bad dreams. Some of the children like to have a pet with them when they want to sleep; it also helps them to stay away from the nightmares. You can help your child to be attached to some security objects that he can keep when going to sleep. This way your children will feel comfortable and more relaxed over the night. Never let your children in the dark. A night light can help you child to overcome the nightmare fear. 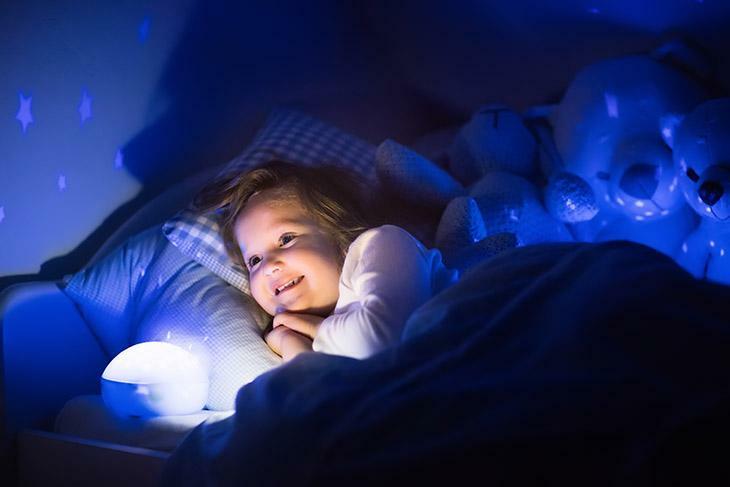 Try to make your children’s habit of sleeping in the nightlight. You can also keep the child’s bedroom door opened this way the child will not feel isolated and be connected with the family. Don’t watch scary television shows or movies. If you have 3 years old nightmares, this will become a disease for your children, by affecting their mental conditions. Don’t let them play scary games as well. If you are not aware of the relaxation training, consult with the experts. However, it is very necessary to teach your child how to get relaxed when they have bad dreams. Ask them to awake in the early morning and do some basic relaxation exercises that will help them to avoid nightmares. If your child lets you know anything about their bad dreams at night, do not discuss with them about it immediately. However, you can consider the child fear with them in the morning or day time. Try to feel them secured this will help them to feel safe at the night time as well. If you want your child to feel more secure, set their boundaries. The limits setting would include their sleep timings and awake time. You can also encourage them to appropriate attitude and tell them do not need to cry at bedtime. If your child is suffering from anxious, you must have a check on them frequently. You can set a schedule for you for every 10 to 15 minutes. Stay an ear to your child’s voice if they cry or call you with fear. 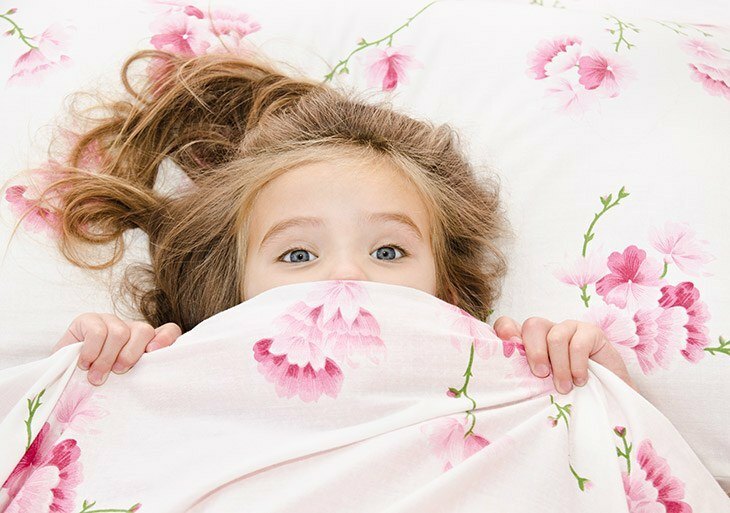 After reading above tips to control 3 years old nightmares, if you are still thinking how to respond your child’s bad dreams, you must go to some specialist. Share the whole situation about your child, and you answer the expert’s questions truly. The expert will have a better solution to help your child overcome the nightmares. Sometimes it happens when you are not close to your child when they have nightmares, so you must teach them to control the situation. Assure them that this is not reality and it will never hear them this way you can help your child to feel secured. 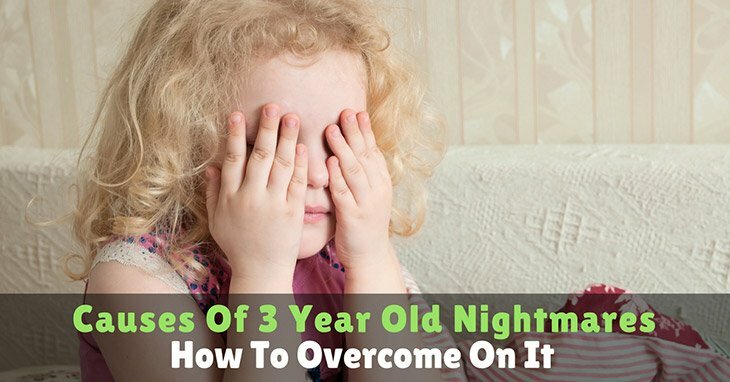 If you have found any good technique to overcome your 3-year-old nightmares or have any particular method that helped you to control such situations, feel free to share your views in the comment section below. We always appreciate your thoughts!